This computer-enhanced barium contrast X-ray shows colon cancer in red. Researchers have been trying to figure out what looks to be a decade-long rise in colon cancer among people younger than 50. I'm frequently reminded that science doesn't work that way. The latest case in point is an article published Tuesday in the Journal of the National Cancer Institute that sets out to explore a trend in colorectal cancer among younger Americans. More than a decade ago, scientists noticed an odd quirk in the data: While overall rates of colorectal cancer have been falling dramatically since the mid-1980s, there's been a steady uptick of this disease among people younger than 50. The numbers are small. Cancer incidence is creeping up by 1 or 2 cases per 100,000 people under 50. By way of comparison, the disease rate among older Americans has plummeted by more than 100 cases per 100,000 people. And the vast majority of colorectal cancer cases are among people over 50: These older Americans are 16 times more likely to get colon cancer, compared with adults who are younger. That's why a small trend in younger adults is far outweighed by the dramatic decrease of disease among people over 50. Still, the under-50s will eventually grow older. What will happen to their risk then? Will the trends that started in their 20s and 30s continue? If that's the case, overall colorectal cancer rates might ultimately end their steady decline, and could start to rise. Another possibility is that, once people turn 50, they will follow the current medical guidance and get colonoscopies or other recommended screening tests, which can actually prevent colorectal cancer by finding and removing precancerous polyps. And their risk profile could end up looking much like it does today. Here's where even Poirot would be stumped. There simply isn't enough information to know what will happen. Epidemiologist Rebecca Siegel and her colleagues at the American Cancer Society have published their take in the JNCI. In their study, they break down the population into generational cohorts, focusing on millennials and members of Generation X. By breaking down the cases by age group, Siegel says, it's easier to disentangle generational changes such as differences in diet from trends in medical diagnosis and treatment, which vary less by age. Still, she and her colleagues can only say so much. "[T]he results do not provide any direct evidence about the role of specific exposures or interventions," they note in the study. Even so, the researchers say, because trends in the young "could be a bellwether of the future disease burden, our results are sobering." Siegel tells Shots, "It appears that under the surface, the underlying risk for this disease is actually increasing in the population." What's driving that is hard to say. Obesity is more common among younger than it used to be, so perhaps it's partly to blame. Or it may not be obesity itself; it could be that poor diet and lack of exercise, which contribute to obesity, are also influencing colon cancer rates. One study found that people from Africa who were suddenly switched to an American diet had signs of inflammation in their colons within just two weeks, Siegel notes, "so this change can happen fairly rapidly." But that's far from a complete explanation. A large British study published a few years ago suggested that only 11 percent of colon cancer cases could be tied to trends in obesity. There's also a scenario in which this seemingly glum cancer trend is in fact good news. Dr. H. Gilbert Welch, a professor of medicine at the Dartmouth Institute for Health Policy & Clinical Practice, says what look like additional cancers in people under 50 may simply be cases that are being diagnosed earlier than they would have been. Some people are getting colonoscopies for reasons other than cancer screening these days, and doctors are surely coming upon early cases of colon cancer they might not have turned up so soon. There's some evidence to back that claim: While the rate of new cases of colorectal cancer has been climbing in under-50 Americans since the mid-1990s, the death rate among that group has remained remarkably flat. And death rates may be the more telling statistic. Something similar happened with breast cancer in the 1980s — there was a temporary spike in the number of breast cancers diagnosed, as large numbers of women went in for mammography screening for the first time. But death rates didn't rise, and incidence rates of breast cancers fell again after that uptick. Welch notes that we're seeing that again with the rates of thyroid cancer, which are skyrocketing due to intensive screening and diagnosis; but, again, there's been no increase in mortality from thyroid tumors. Welch offers yet another possibility: Maybe the apparent rise in colon cancer among young people is real, but it won't affect them as they age. "The biology of the disease may be different between the young and the old," he says. Welch himself has explored the much larger trend of declining colorectal cancer rates. 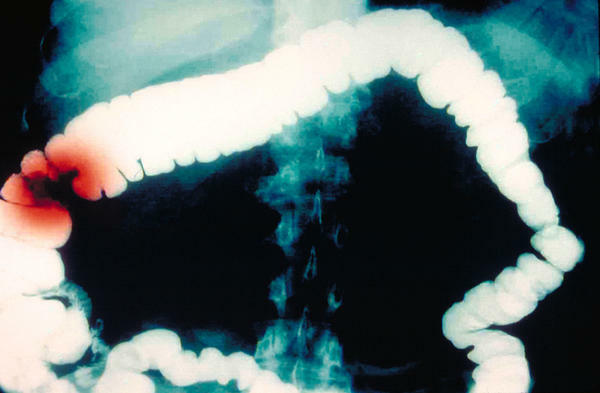 Some of it is no doubt caused by vastly increased screening for colorectal cancer, though he notes that the decline was well under way before colonoscopies became routine. There's no question that diet and other factors can also have a profound effect on cancer rates. "One of the most dramatic cases of that is stomach cancer, which used to be a very common cause of cancer and has now virtually disappeared, at least in the United States," Welch tells Shots. On one point there is broad agreement among doctors and researchers treating and studying this disease: The increased screening for colorectal cancer, which can involve removing polyps before they become cancer, has been a significant factor in reducing the burden of this illness. Another point of agreement: If the Trump administration eliminates the current insurance benefit for colon cancer screening as it does away with the Affordable Care Act, fewer people are likely to get screened for this deadly malignancy. And the likely impact of that is not a mystery.